I’ve had the pleasure to lunch with Bob Adams several times in Panama City along with the Panama Relocation Tour. Bob loves his life in the hustle and bustle of Panama City. He writes a great blog called Retirement Wave. Adams says, Call it the “Baby Boom” or a “demographic explosion”, every day a wave of tens of millions of Americans and Europeans move one day closer to retirement. Retirement should be a stress-free period in our lives, but it has become stress-ridden. We worry that we won’t have enough money to take care of ourselves. We worry that we will be a burden on others in our society if there is not enough money to support our government’s social programs for retirees. We worry that if the social programs fail, we will be a burden to our children. We worry about being old in a world of terrorism, unable to protect ourselves. These are all fears that weigh heavily on us as we plan for retirement. Worse yet, they are fears we know we will continue to face once we are actually retired. This is much too negative for what should be a positive period in our lives. It could be positive if only there was a practical way to protect ourselves, avoid being a burden to others, and perhaps even make a small contribution to reducing global tensions. There is. Bob, I, and many others have found a way to do that by retiring in Panama. 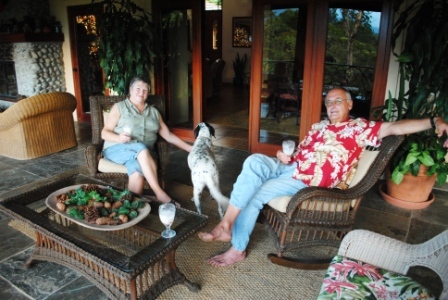 Here’s Bob Adams “10 Reasons to Retire in Panama” . .
Why retire in Panama? Here’s the short version based on my observations and experience following forty-five years of living and working all over the world. 1) It’s a democracy with freedom. Freedom of the press, assembly, speech, and religion are all found here. Panamanians are not shy about sharing their feelings and their concerns. Elections are free, honest, and competitive. Following the dramatic end of General Noriega’s regime in 1989, Panamanians decided they would never again fear that a military general would become a dictator. They closed down the military. The national police force is just that, a police force, and the territorial integrity of Panama is guaranteed by the United States. They don’t need a military and they have the good sense to know it. 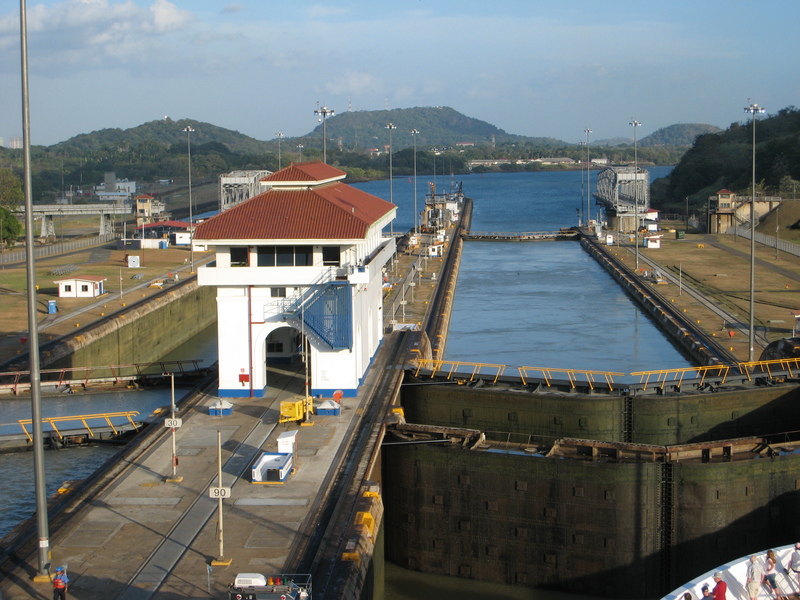 3) They have the Panama Canal…and more. The Panama Canal does far more than provide 10% of Panama’s GDP (Gross Domestic Product – the total economy). Unlike many small nations that depend on tourism or some natural resource whose price varies depending on the market, the Panama Canal provides Panama with a large, steady, dependable income and will continue to for years to come. It also provides thousands of well-paid jobs for Panamanians. A multi-year, $5.2 billion expansion of the Panama Canal currently underway will add thousands more jobs. These are jobs that pay a great deal more than picking coffee beans or waiting on tourists. And the money from Panama Canal fees reaches out to touch people and businesses everywhere in the country. But there is more than the Canal to Panama. Unlike many other Latin American nations, agriculture plays an important, but relatively small role in the economy. International banking, maritime services, manufacturing, and shipping combine to provide more jobs and tax revenue than the Panama Canal. Panama is also home to the second-largest free trade zone in the world (Hong Kong is the largest) which has had a dramatic impact on the economy, employing twice as many people as the Canal. 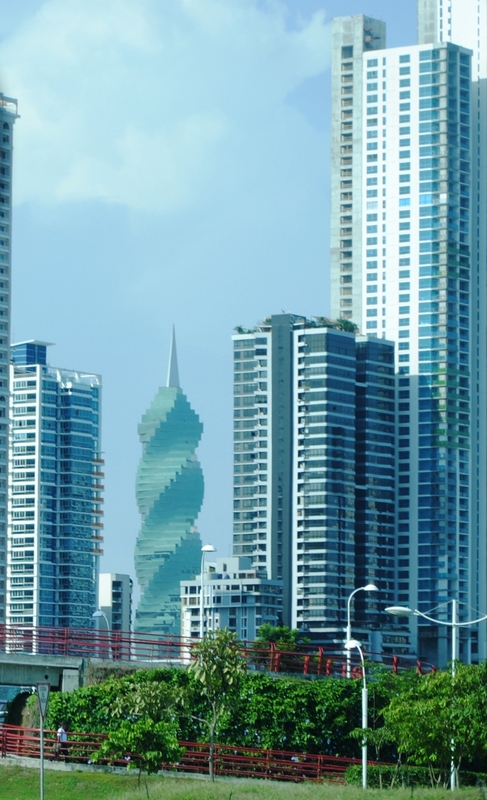 Panama’s economy is far more modern and service-oriented than you might expect. This means stability not only for Panamanians, but for those of us who retire there. 4) Panama has a thriving middle class. With the Panama Canal and a number of other established sources of income as mentioned above, Panama’s middle class is growing. As Americans and Europeans know from their own experience, a healthy middle class is the foundation for a stable economy and a secure democracy. You don’t have to search for the middle class in Panama, you can find them everywhere. 5) Americans and Europeans are welcome. I am struck by the fact that Americans and Europeans are not looked at with awe nor are they disliked. Another contribution of the Panama Canal has been the introduction of hundreds of thousands of people from all over the world to Panama over the years, including tens of thousands of Americans assigned to support the Canal before its turn-over to Panama in 1999. Panamanians are perfectly comfortable with people from other nations. They’ve lived with them for decades and many of their “visitors” remained to become residents. English is widely-understood and also spoken by many of those who deal regularly with expatriates, although many Panamanians are hesitant to speak it at first, for fear of embarrassment, as is so often the case in reverse! In that regard, Spanish language instruction is readily and inexpensively available. 6) The currency is the US dollar. There are two benefits to this. For Americans and others with dollars, there is no need for currency exchange or to worry about exchange rates. The Panamanian Constitution forbids the government from printing paper currency. Thus a second benefit is that, unlike most nations, the Panamanian government cannot just turn on the printing presses when it wants more money. Panamanians have to earn their currency from the world market through hard work and intelligence. There is none of the wild inflation that has plagued so many Latin American nations. 7) The climate and surroundings are beautiful. Panama is basically a mountain range bordered by beautiful Panama beaches. However, these are not cold, barren mountains. They are “soft”, rounded volcanic Panamanian mountains and the volcanic soil provides an excellent base for lush vegetation. If you prefer a tropical climate, you won’t be disappointed on either the Atlantic or Pacific coasts. If, like me, you prefer a more temperate climate with easy access to the Panama beaches (it’s almost impossible to be more than an hour’s drive from a Panama beach; 30 minutes is more common), move up the mountainside and you’ll find it. 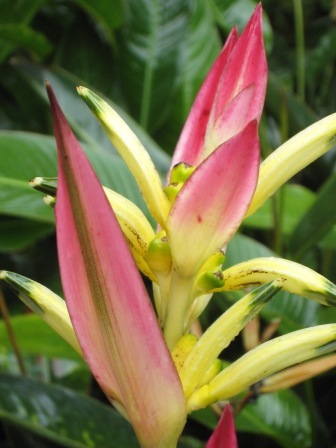 The flowers, trees, birds and other animal life are varied and many are strikingly beautiful. It’s what you would expect in that part of the world and Panamanians are doing a decent job of protecting their environment, far more so than many nearby nations. Eco-tourism is a growing industry in Panama and for good reason. 8) The cost of living in Panama can be much less than in the US or Europe. How much you will save by living in Panama will be determined both by the amount you spend in your home nation and the lifestyle you choose in Panama. There’s such a great variety among expatriates that it’s impossible to tell you how much you’ll save, but if you have any desire to spend less, you will find it far easier in Panama than in North America or Europe. 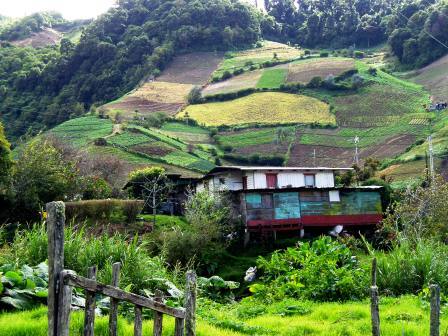 Folks from low-cost rural areas express astonishment at how much cheaper it is to live comfortably in Panama. Those from higher-cost urban areas will save less, but they seem to have one thing in common: they live comfortably, cut their expenses, and save money. It’s always been a reason to relocate to Panama and it remains a big one today, but the final result for you will depend on your lifestyle. Panama has room for a very wide range of tastes and lifestyles. 9) The people of Panama are just plain friendly and a pleasure to know. The factors above and others unmentioned in this “short” description leave Panamanians among the most pleasant, relaxed people I’ve ever met. 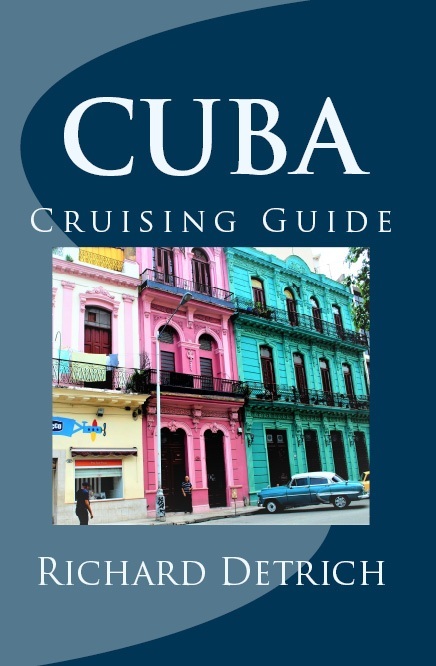 They are more cosmopolitan and sophisticated than many who live in wealthier nations as a result of their long-term exposure to a wide variety of international visitors and Canal users. There are poor people in Panama, but there is none of the grinding, desperate poverty that is so common in much of the world. I have worked in poorer nations all over the globe for more than four decades. There are poor people here, but nothing to compare to the grinding poverty found elsewhere. International financial institutions rank Panama in the “upper-middle income” category and that sums it up well. 10) If you want to retire, Panama wants you. 25% discount on your telephone and water bills. In addition, you can bring in all your household goods free of taxes and import a new car every two years for private use. All that is required to qualify as a pensionado is that you must be in good health, AIDS-free, have an up-to-date passport from your country of citizenship and a verifiable monthly pension income of at least $1000 per month for an individual, $1250 for a couple, plus $250 for each additional dependent, if any. Foreigners who become pensionados can buy and own Panama property and enjoy exactly the same rights and protections as Panamanians, not always the case in many nations and an important point people often forget to consider. As for income taxes, you will be pleased to know that in Panama you pay no taxes on income earned outside of Panama. Panama is not paradise, no nation is. Panama is still a relatively young nation and has its growing pains, but it’s made a great deal of progress already and it’s headed in the right direction. 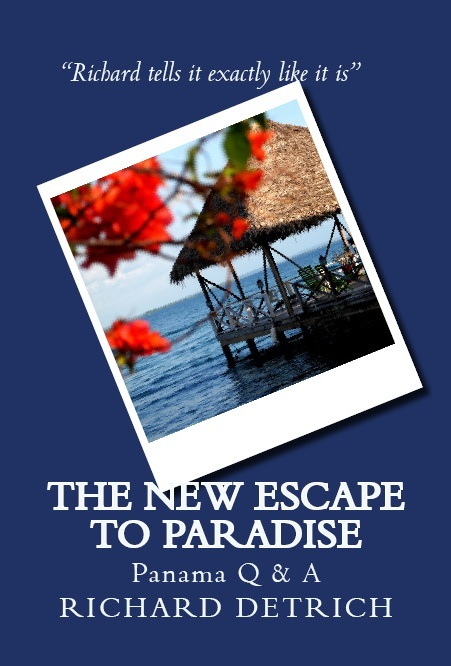 For the rest of us who are not Panamanians, it is a nation where we can live comfortably for much less money and far less stress than we have come to expect in our own societies. Best of all, we are “good” immigrants. We save money living in Panama, but we also bring with us the money that creates jobs and opens possibilities for Panamanians they would not have otherwise. They know that and so we are genuinely welcome. Many would say “beautiful”, but if I had to choose one word to describe Panama, it would be “comfortable”. In this crazy world full of fear of terrorism and fear of not having enough money to pay the bills, that’s a description of a good place to retire.